This match will be shot with center fire military service rifles from any country. They must have been an official service rifle from the country of origin, and must have been officially in service prior to 1961. Original or newly manufactured copies of the rifles may be used. Recognizing that many high power rifle shooters own competition service rifles with various modifications such as restocking with synthetic materials, glass action bedding, aftermarket sights and alterations to the firing mechanisms, modified rifles will be allowed to be used. We will separate the rifles into two categories: “As Issued” and “Modified”. These names are self- descriptive, but if any questions arise a jury of experienced riflemen will determine your rifles category prior to the firing of the first shot for record. ”Sporterized” rifles and optical sights are not allowed in our VMR matches. Pins and entry fee certificates will be awarded. The top two aggregate scores will be awarded certificates. Pins will be awarded to the shooter with the highest score for each of the following rifles, M1 Garand, M1 Carbine, M1A, ’03 Springfield. The only foreign rifle pins I have been able to find are AK-47 and SKS pins. We can award -03 Springfield pins to those of you who shoot Mosins, Swiss rifles, Enfields and other bolt action rifles if you want them. There must be at least one other competitor firing the same model rifle in order for an award pin to be won. You must outscore someone shooting the same model/type rifle to win a pin. The intent of the pin awards is for a shooter to be able to win just one pin for each model rifle the pins are available for. After winning a pin your score will be considered for the two aggregate awards only. Re-entries will be allowed if there are open points on the second relay if a competitor wants to try for another pin with a different model rifle. The first relay score only will be used for the aggregate award though. It was a cold and windy day for shooting but eleven hardy marksmen showed up to kick of the club’s high power rifle season nonetheless. Nine competed and two of us ran the match. The cold and gusty wind helped keep the scores down. 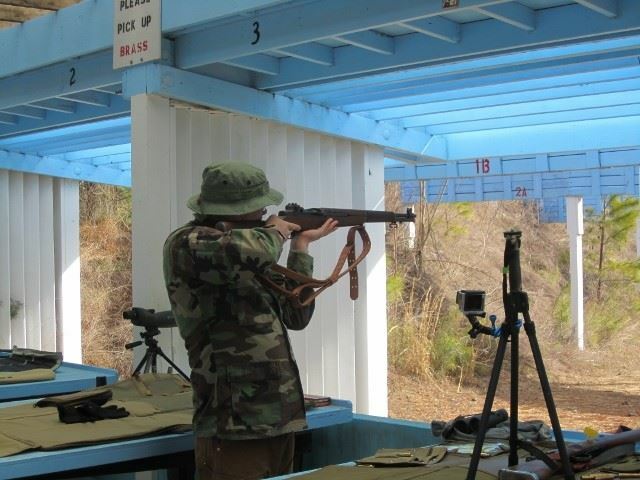 Paul S with his bolt action Enfield held off Mark S’s efforts with his very accurate M1 Garand. Both showed flashes of brilliancy, Mark with a 100-4x in the prone slow fire and Paul with his 99-5x in the prone rapid fire, but the wind got to both of them in the standing stage and Paul emerged as Match Winner. 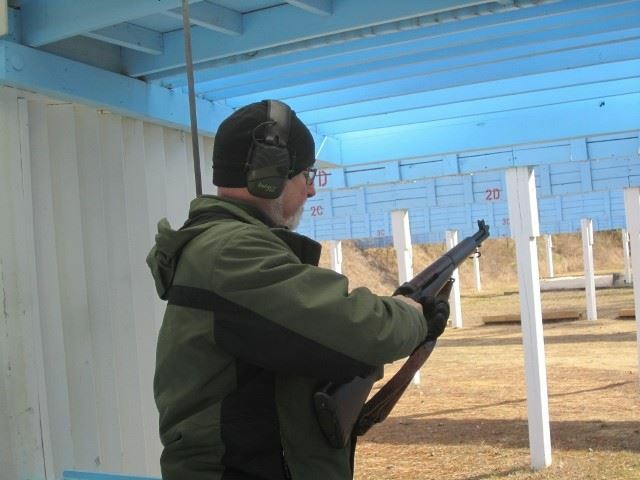 Paul’s prone rapid fire score set a new SLSC range record for the Modified vintage military rifles. See all the details in the Match Report. Perhaps Spring will really be here for our next match which will be a NRA Approved High Power Sporting Rifle (HPSR) match on April 27th. 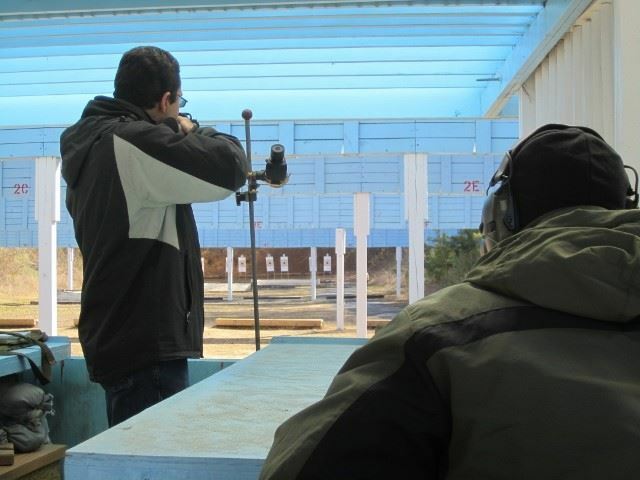 More details will be coming before match day, but the HPSR match is an excellent introduction to HP rifle competition. No specialized HP equipment is allowed. All you need is a centerfire rifle zeroed in for 100 yards, some ammo and a keen eye and steady hand. It has gotten to where nearly every rifle shooter has some flavor of AR-15 these days and that is an ideal rifle for two of the three courses of fire our HP program offers. And your deer rifle works in the HPSR too. My thanks to the marksmen who are showing up to help keep this program going, modest as it is. And even if you don’t shoot if you show up and help set up and take down the range, or help me run the match you will get your volunteer hours credit. This is an un-sanctioned 30 round course of fire with up to 5 sighting shots allowed prior to firing for record. 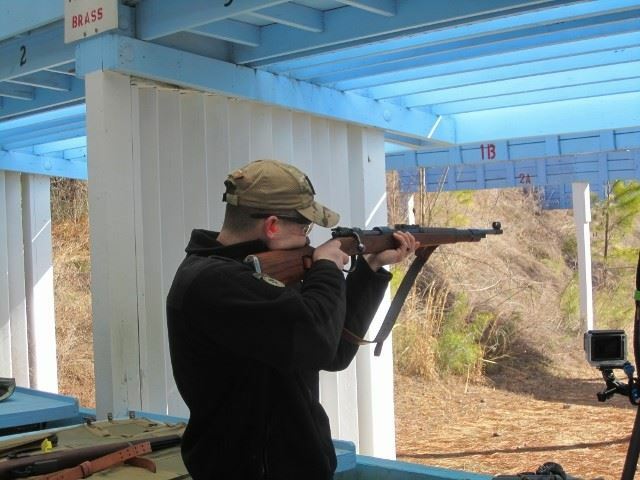 Rifles used are military service rifles that were in service prior to 1961. The rifles may be from any country, any service. Metallic sights only are allowed. You will be firing from the prone and standing positions. Match begins at 9AM. Check-in from 8-8:30AM. The SR-1 target will be used for all stages of the VMR match. Firing more than the required number of shots and more than 10 hits are on the target, with no cross firing evident, the 10 hits of the lowest value will be recorded for that string. 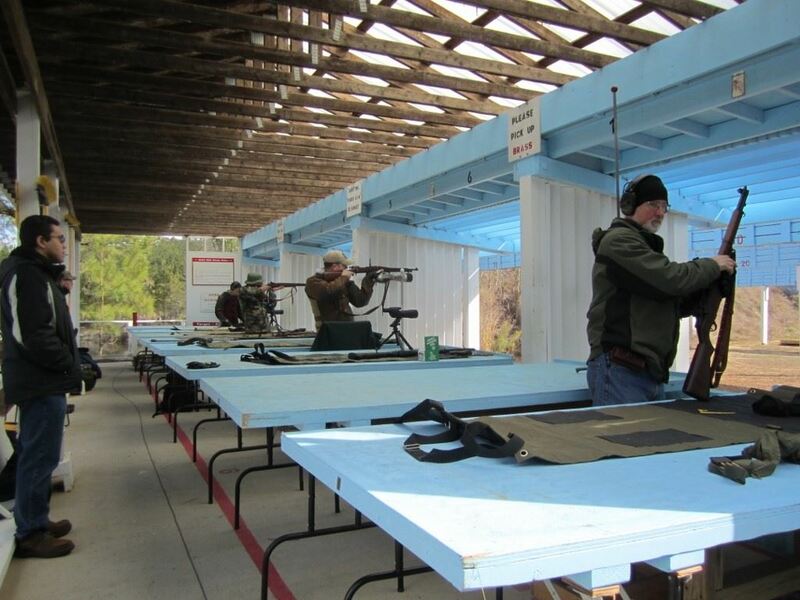 The rules for this match will be found in the match program, available upon request, and are a combination of NRA rules and Civilian Marksmanship Program rules, adapted to suit SLSC needs.